Auto-populates your web pages with the latest news when RSS is used in News Grids and News Index pages. Pages are always kept fresh! 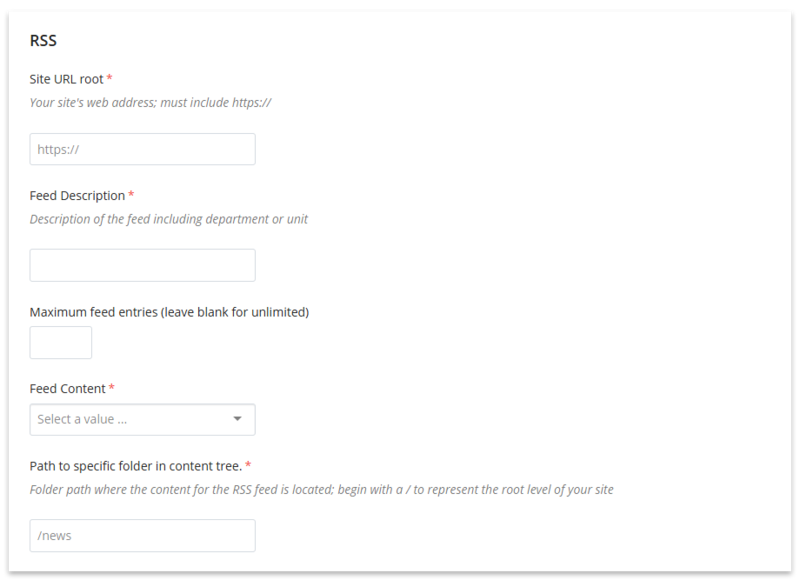 Provides a method for your website visitors to subscribe to your news using their preferred RSS feed reader. Your news is automatically delivered to your biggest fans 24/7. 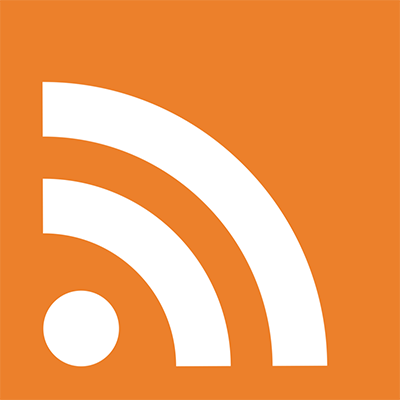 Want to promote your RSS feed? Add RSS in the Setup Block under Social Media Links and use the RSS feed's URL for the link. 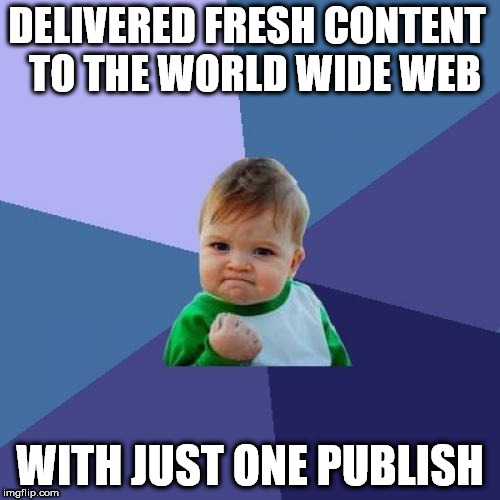 Publish your site, and the RSS icon will appear in the footer of every page. You can't miss it! 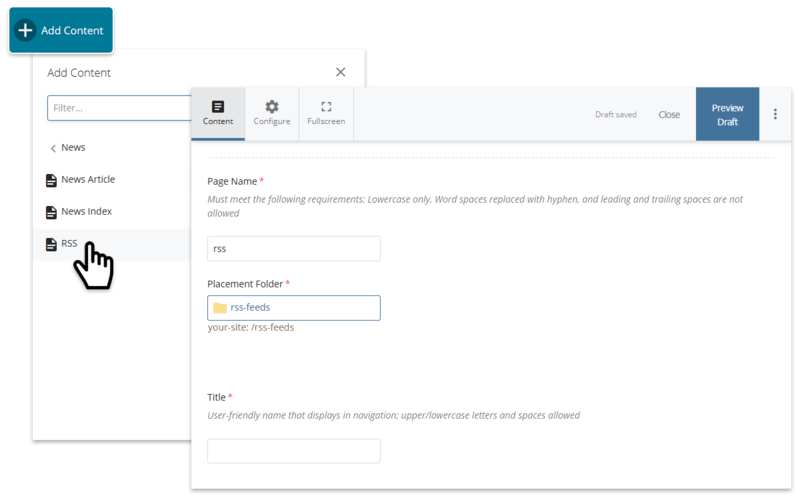 Ideally, RSS feeds should be contained within a designated folder on your site; if this is the first RSS feed you're creating, first create a folder for it. The folder can be located in the root level or your site and be named something like rss-feeds. Creating a new RSS Feed. Page Categories allow you to be selective about what news to include in the RSS feed. News Article pages must be tagged with the categories selected here in order to be included (new categories can be created in the categories block; more on categories). If no categories are specified, all news within the folder and its subfolders will be included. 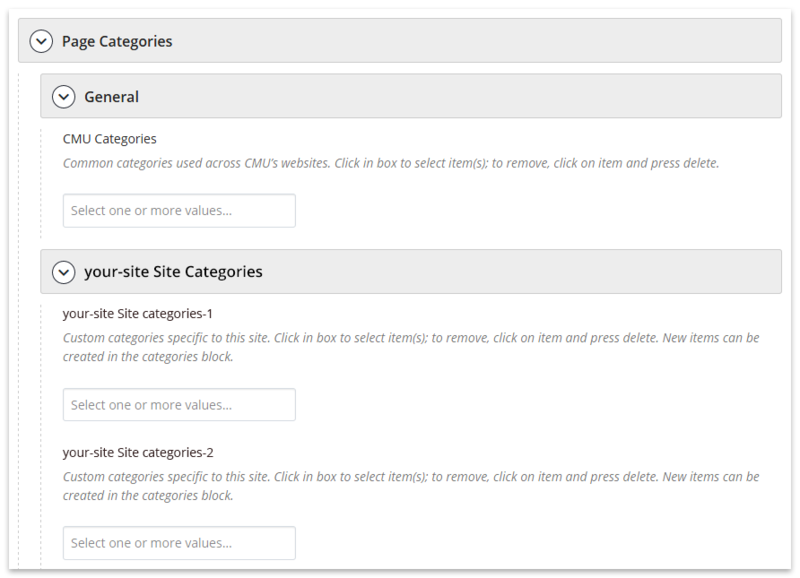 Click in a box to select one or more categories; to remove a category from being selected, click on it and press delete. Page categories in the RSS edit interface. While creating or editing an RSS feed, tabs are available at the top of the edit window to configure additional settings. Note: Most of these settings can be left at the defaults. The interface to edit the general RSS settings covered above. Settings not included here should not be modified. Note: Always add the .rss extension when accessing the feed on your browser. 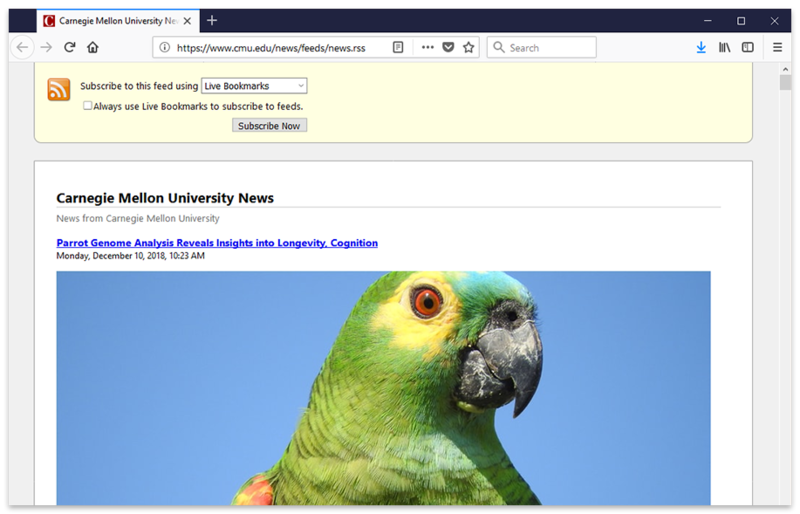 An RSS feed displayed in the Firefox browser. Stale news is bad news.